The World Poker Tour Championship which is currently taking place in Las Vegas, ends the season XI of the circuit. 146 players have taken the start of this Main Event of $ 25,500 buy-in, which generates a prize pool of more than $3.5 million. After five days of competition, this poker event has just reached its final table composed of the six best players of the tournament. 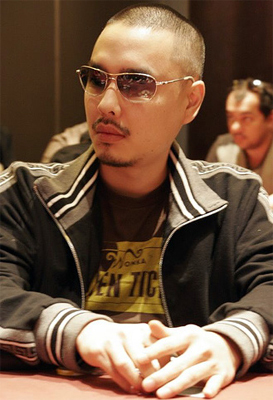 The Day 5 was short because the organizers decided to stop the Day 4, with 8 remaining players. And these players come back the day after to define the composition of the six-handed final table. Matt Hyman, Brandon Steven, Jonathan Roy, David « Chino » Rheem, David Peters and Erick Lindgren meet in the final, after the eliminations of Rocco Palumbo (8th) and Daniel Negreanu (7th). Bubble boy of this last Main Event of this season, Daniel Negreanu settled with $ 137,085. Other notable players are also among the 15 paid places as Amir Babakhani (9th, $ 70, 300), Dan Shak (11th, $ 57,998) or Byron Kaverman (13yh, $ 49,210). Chino Rheem, a player not to be presented anymore for his ability to play poker well, leads the final table with a big stack of 5,495,000 chips for an average of 2,433,333 chips. His direct pursuer is at less 2 million of chips, followed by the winner of the WPT Montréal 2012, Jonathan Roy (1,000,000), Matt Hyman (1,560,000), Brandon Steven (1,210,000) and David Peters (1,085,000). This page has been viewed 423 times.